Mo BrooksRep. Mo Brooks’ in a campaign advertisement highlighting his comments immediately after a shooting targeting Republican members of congress. 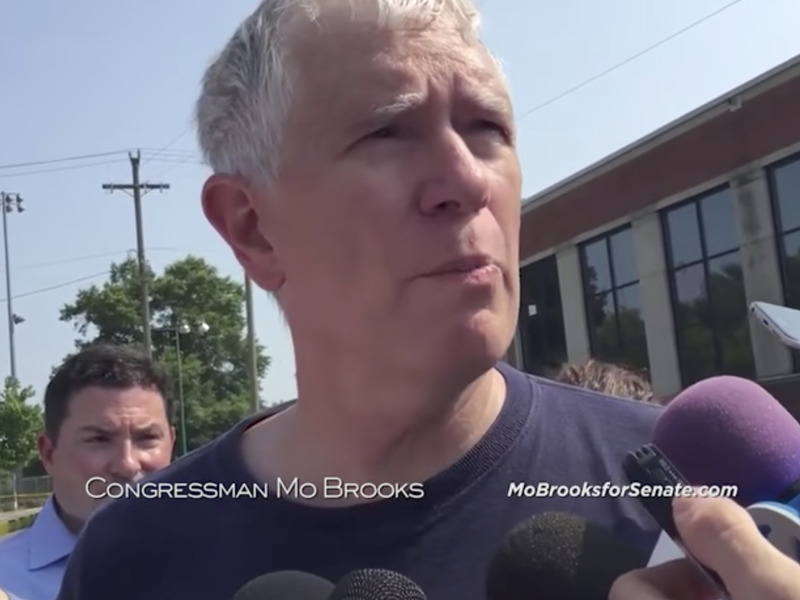 Rep. Mo Brooks launched a campaign advertisement arguing against gun control that used audio from a recent shooting that targeted Republican staffers and members of Congress. In an ad released on Monday, the Alabama congressman slammed reporters for asking whether the recent shooting, which seriously wounded House Majority Whip Steve Scalise, changed the congressman’s mind about gun control. The ad immediately sparked some backlash online and garnered criticism from some Republicans like Scalise’s chief of staff. Brooks, who is running for one of Alabama’s Senate seats in 2018, has long courted controversy as one of the most conservative and outspoken members of Congress. He’s currently running against Sen. Luther Strange, who was appointed to fill the seat vacated by Attorney General Jeff Sessions. Far-right commentators like Fox News’ Sean Hannity and radio host Laura Ingraham are backing Brooks, citing his hardline immigration positions, while Senate Majority Leader Mitch McConnell has strongly supported Strange, whom he feels is a reliable Senate vote. In a previous campaign ad, he challenged lawmakers to fund President Donald Trump’s proposed border wall, saying he would force a Senate shutdown if they did not comply.